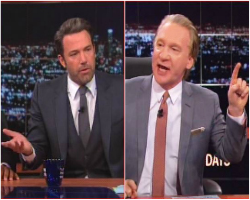 This weekend social media blew up when comedian Bill Maher and actor Ben Affleck debated Maher’s views about Islam on his HBO show. Affleck makes the same mistake most liberals make when religion is involved in a debate, they conflate criticism with ‘racism’. Ideas like that lead us to blasphemy laws. 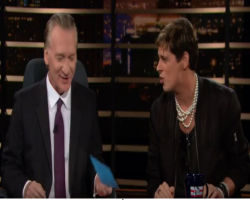 This entry was posted in Culture, Humanism, Religion and tagged Ben Affleck, bigotry, Bill Maher, blasphemy, criticism, Islamophobia, Sam Harris on October 6, 2014 by Doug. It is Christmas time again and the religious complain about not celebrating the reason for the season. The problem is which reason should we use, if any? There are several prophet legends born on December 25th to choose from. Horus: announced by star in east on Dec 25, attended by 3 wise men , died, resurrected, mom a virgin…do you see a pattern here? Merry misappropriated pagan solstice ritual, everyone. This entry was posted in Culture, Life, Politics, Religion and tagged Bill Maher, Christmas, holiday, Jesus, Paganism on December 25, 2009 by Doug.